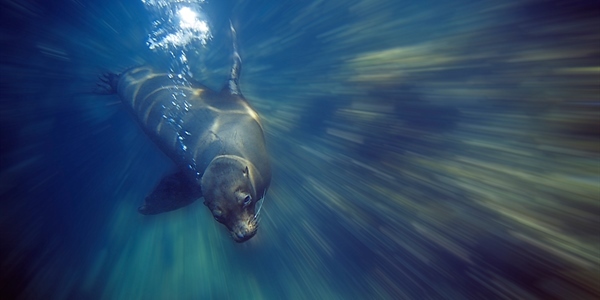 Dive the Galapagos Islands in style. Built in 2010, the M/V Humboldt Explorer was made lower than the usual liveaboards making it steadier whilst cruising the oceans with a bow bulb adding stability and speed. She only takes 16 passengers to avoid large crowds of divers in the sea at the same time whilst providing with the necessary space aboard. The 9 crew members are friendly and experienced and are there to help you with any questions or queries you may have. 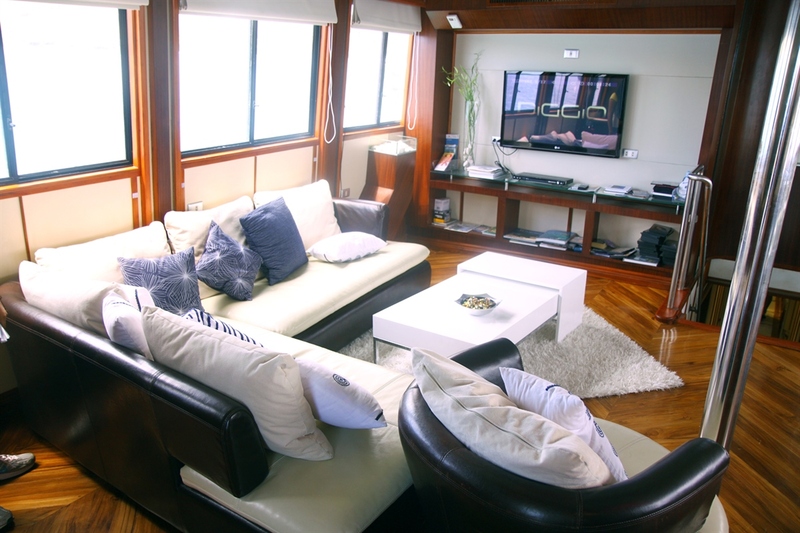 M/V Humboldt Explorer has 8 air conditioned cabins all with en-suites, flat screen TV, closet and a stunning ocean views with 2 cabins on the main deck and the remaining 6 cabins on the lower deck. All rooms have twin beds that can be converted into a double depending on guest’s requests. The air conditioned salon is located on the main deck and features tables, chairs, TV, VCR, CD/DVD, video library and a seating area. 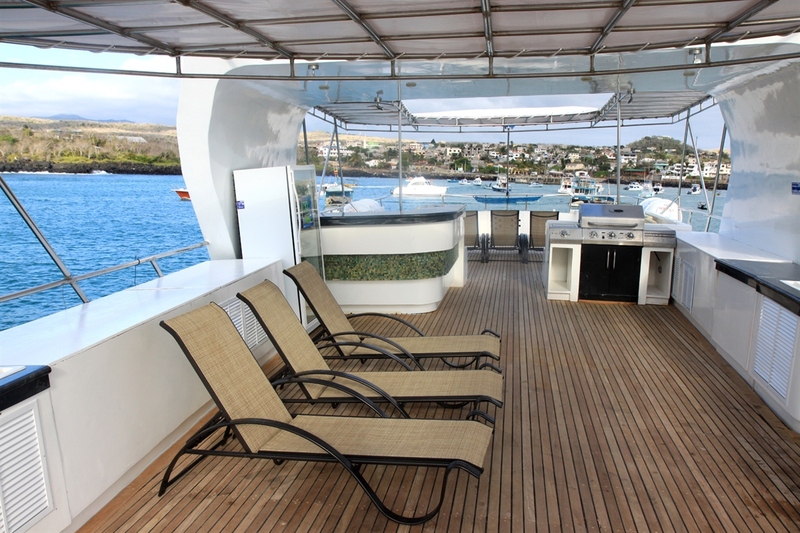 The sun deck is at the top of the boat and offers shaded and un-shaded areas with a comfortable seating and bar area, an entertainment system and a jacuzzi for you to relax in after a long day’s diving. The large dive deck is equipped with individual storage areas, a large camera table, recharging stations, air and nitrox filling stations, tank racks, and a separate fresh water rinse tank for underwater camera equipment. 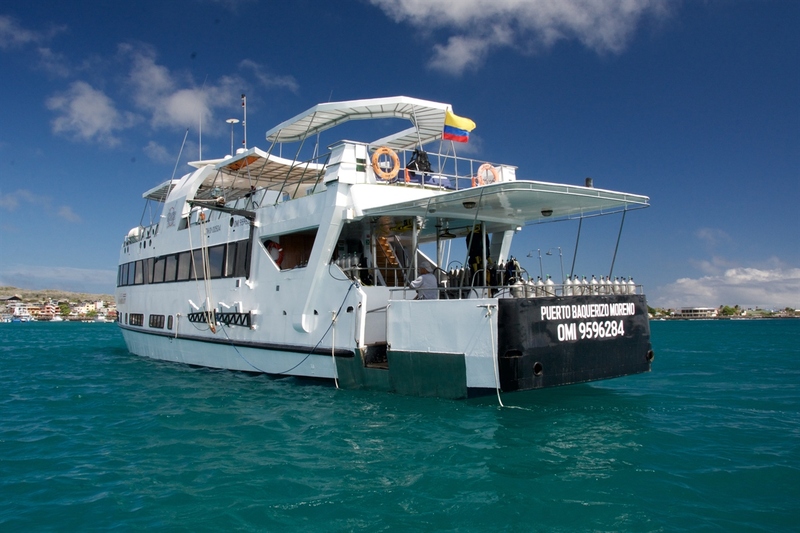 Diving is conducted from two large pangas (tenders) which can easily be boarded from the spacious dive deck. The food aboard the M/V Humboldt Explorer is plentiful and varied to suit every guest’s needs; however the chef will be happy to adhere to any dietary requirements if known in advance. Breakfast usually consists of eggs, bacon, pancakes, French toast, potatoes, cereal and fresh fruits with the lunch and dinner usually consisting of rice, pasta, vegetables, soup, chicken, beef or fish and an occasional specialty dish. Please note the credit card charges aboard are 5% bank fee and 12% Ecuadorian value added tax. 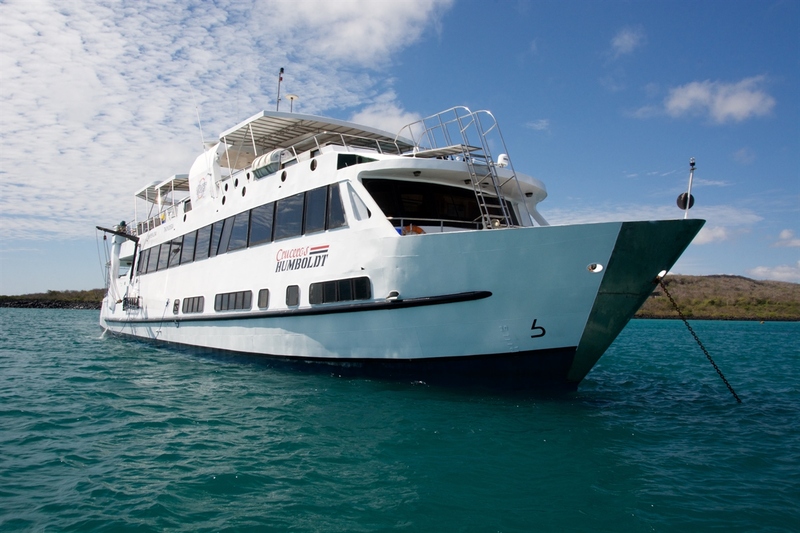 The Galapagos tourist card will be $20 per person. 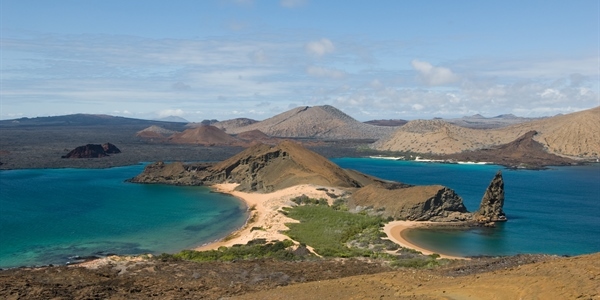 Also the Galapagos National Park Tax will be around $100 per person and the Fuel Surcharge will be around $250 per person. 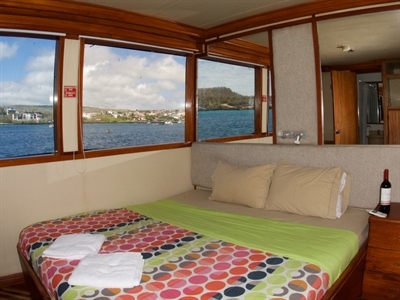 The Main Deck features two guest cabins which can be converted to either one queen bed or two twin beds. They have ample storage and provides guests with an ocean view. 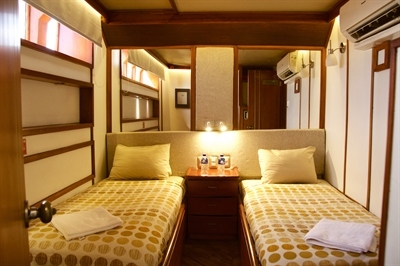 There are 6 cabins on the lower deck, most of which can be converted to either one queen bed or two twin beds. They have ample storage and a window. 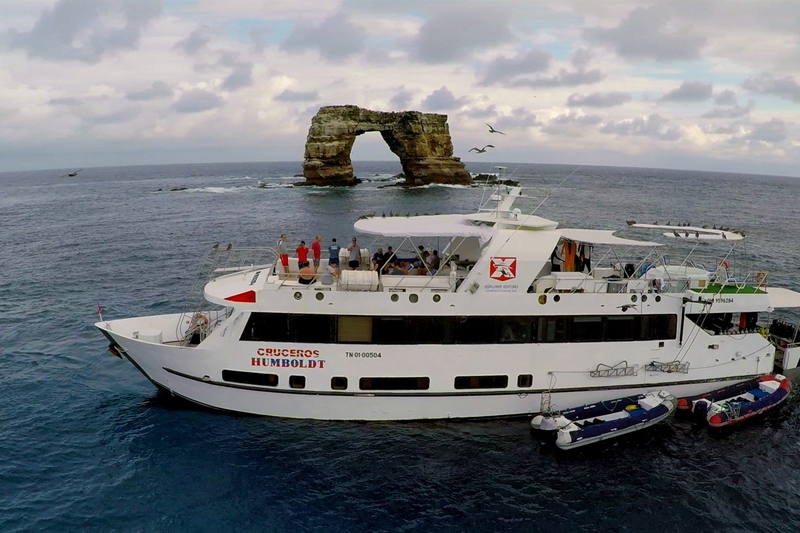 The Humboldt Explorer will take you to the best dive sites in the Galapagos where you will encounter Galapagos sharks, silky sharks and lots of schooling hammerheads being cleaned by king angelfish. 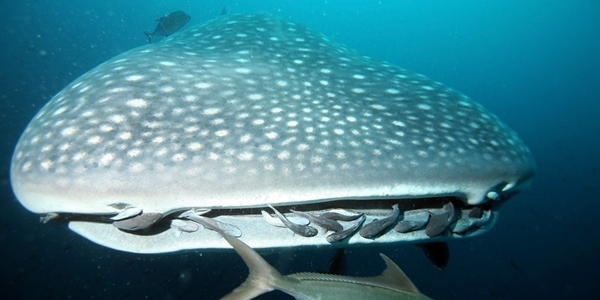 Turtles, schools of tuna, eagle rays, and sea lions are common sites in the Galapagos with sightings of whale sharks being possible from June through to November. 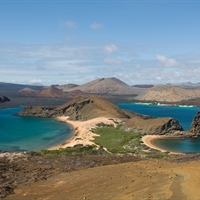 Monday: San Cristobal - Guests fly to the Galapagos Islands from Ecuador arriving around mid-day, where they will be met at the airport and taken to the vessel where boarding begins at 1 pm shortly followed by lunch and a briefing. 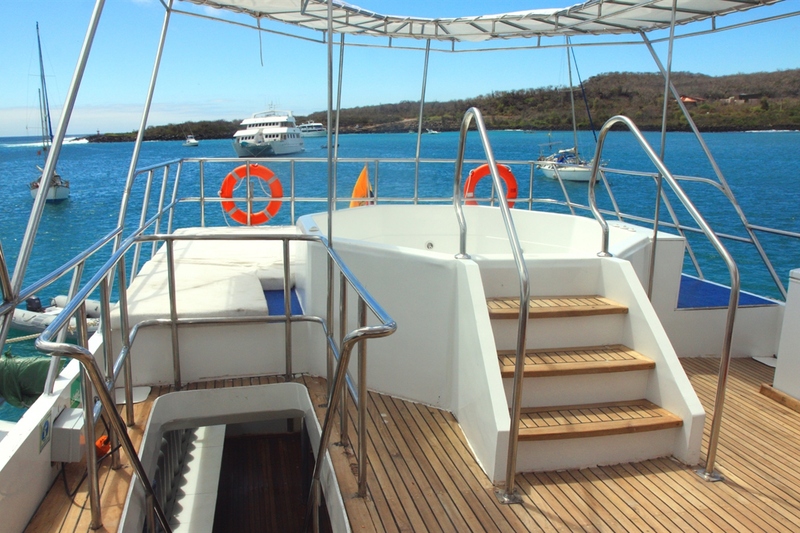 After lunch the boat departs for a short crossing to Isla Lobos for a check dive and safety briefing before dinner is served, the boat will then depart to the next destination. Tuesday: Punta Carrion - Guests do 2 dives here, one at 6:30 and the other at 9:30 with the possibility of an extra dive depending on the weather. Rays and many schools of fish are seen as well as blue footed boobies, frigate birds, sea lions and iguanas on the afternoon North Seymour land visit. The boat departs in the evening for the 16 hour crossing to the Northern Islands. Wednesday: Wolf Island - Guests do 4 dives here, the first dive takes place at 6:30, then 10:30 and 14:00 and one at 16:30 with the possibility of a night dive. 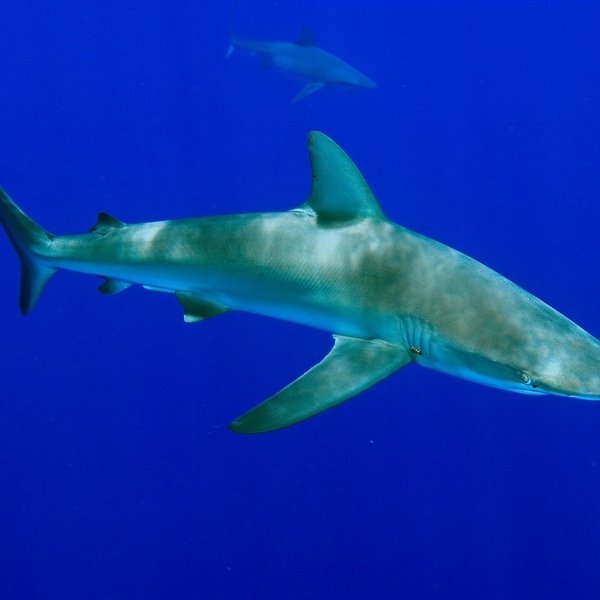 Hammerheads, whale sharks, sea lions, eagle rays and silky sharks are often seen cruising the waters here. The boat spends the night anchored in Wolf Island. 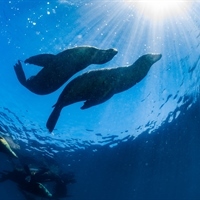 Friday: Darwin Island - Guests do another 4 dives at Darwin Island, one at 6:30 followed by a mid-morning dive at 10:30 then 14:00 and the last dive at 16:30 where sightings of hammerheads, eagle rays, turtles and silky sharks are the norm. The boat departs in the evening for the crossing to Wolf Island. Saturday: Wolf Island - Guests will do another 3 dives at Wolf Island, one at 6:30 followed by 9:00 and 11:00 before the 20 hour crossing to Cousin’s Rock begins. Sunday: Cousin’s Rock - Guests get to do 2 dives here, one at 6:30 and one at 9:30 with many sightings of sea horses, eagle rays and sea lions. Lunch is served during the 3 hour crossing to Santa Cruz where guests will visit the giant tortoises, Puerto Ayora and the Darwin Centre where guests will eat ashore and return to the Humboldt Explorer at 20:30. Monday: San Cristobal - Guests will have breakfast before departing the boat at 9 am, giving guests plenty of time to visit the beach and town before transfers back to the airport depart at 1:00 pm. 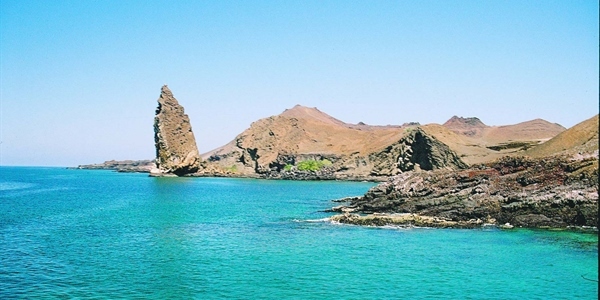 Guests will then fly from the Galapagos Islands to Ecuador where you will catch your connecting flight. Please note: This is a sample itinerary and is weather dependent. 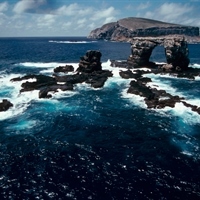 Each itinerary includes the same islands however the order of the island may vary due to the Galapagos National Park regulations. When divers approach Wolf island the boat will be surrounded by the big Pods of Dolphins that seem to be residents to the Island. Wolf is a very small island with high cliffs full of bird life such as red footed boobies, Great Frigate Birds, Swallow Tailed Gulls, Nazca Boobies & Terns. The underwater topography is either boulder slopes or walls that offer the most outstanding number of tropical fish of the Galapagos waters. There are many different types of marine life to be found here; mobula rays are common on this site and divers often spot them swimming in groups, which is an unusual site. Sea slugs and nudibranchs are found in many different colours and shapes and they can be spotted along the reef. 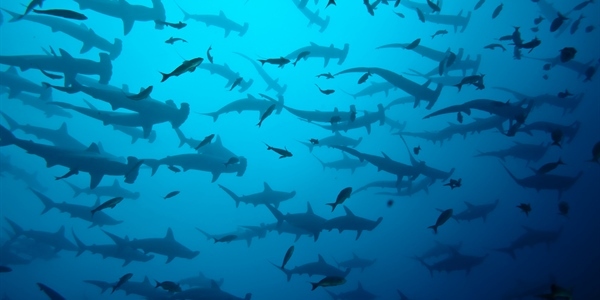 Divers will also probably see the areas signature shark – the hammerhead shark and Galapagos sharks are also found here. 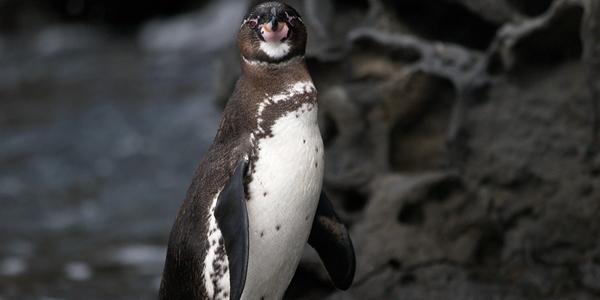 Sea lions, penguins, and marine iguanas are found here and they can be seen hunting the many fish found on the reef. 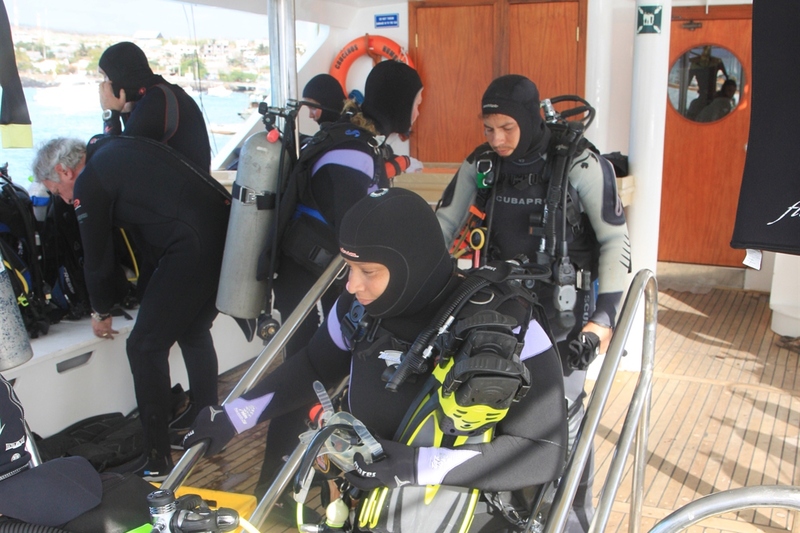 Overall, it is a great dive and a great introduction to the types of divers to be expected in the region.